After hearing about a TED Talk project about a year ago, I decided to team up with a teacher to have students create their own TED Talks. The students were tasked with choosing either a topic to inform their audience, or to persuade their audience. While this project helps to develop persuasive writing skills and presentation skills, it also allows for student autonomy to choose a topic that they are passionate about. 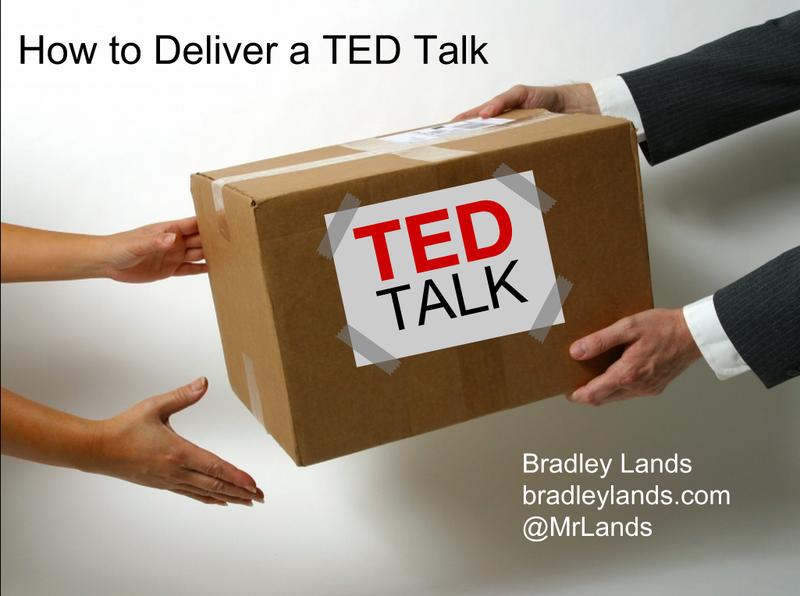 To provide some presentation tips, I decided to create a trial run of a TED Talk by delivering a presentation to my students in the form of a TED Talk. My goal was to not only inform my students about presentation techniques, but to also test out the technology that we would be using to film their presentations. 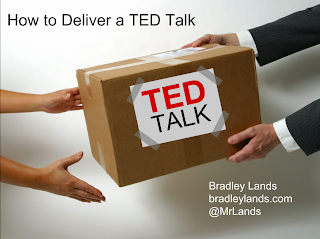 Now that I have created a TED Talk about How to Deliver a TED Talk, I have decided to share my video and resources for other teachers and students to use for similar projects and presentations. Before I created my presentation, I researched some of the latest, best practices for giving presentations. The two books that I used for my research included How to Deliver a TED Talk by Jeremy Donovan and To Sell is Human by Daniel Pink. Both of these books had tons of great information that I was able to integrate into my presentation. I also got some great resources from Danielle Hartman, who is also doing a TED Talk project with her students. Here is my Google Drive Folder with additional resources. I hope that you find these resources to be helpful if you decide to do a similar project with your students to share some "Ideas worth spreading" and "Lessons worth sharing". What if kids hold the solutions to our biggest problems? Thank you so much! This is the first time I have asked my students to do TED talks. Do you have a rubric you use to assess your students? Thank you so much. This is very helpful when implementing TED Talks for the first time in my science classroom. Do you have a rubric or grading criteria you used for assessment?